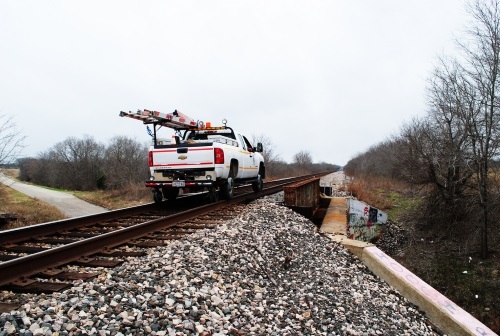 The Federal Railroad Administration issued a Notice of Funding Opportunity on Nov. 16 for that will make $272 million in grants available via its “State of Good Repair” program, which funds capital projects aimed at repairing, replacing, or rehabilitating publicly owned railroad assets and to improve intercity passenger rail performance. The agency said eligible projects include: those that replace existing assets in-kind; replace existing assets with those that increase capacity or provide a higher level of service; and those that ensure existing assets maintain service while being brought into a state of good repair. The agency said applications for capital project funding via this NOFO must be submitted via www.Grants.gov and are due no later than 5 pm EST on March 18, 2019, adding that federal funds awarded under this NOFO must not exceed 80 percent of the total cost of a project, though the required 20 percent non-federal share may be composed of public sector or private sector funding, or both. FRA emphasized that “selection preference” for grants via this NOFO will be given to projects where Amtrak is not the sole applicant; multiple applicants submit applications jointly; the proposed federal share of total project costs does not exceed 50 percent; non-federal shares consist of funding from multiple sources, including private sources; and applications indicate strong project readiness.